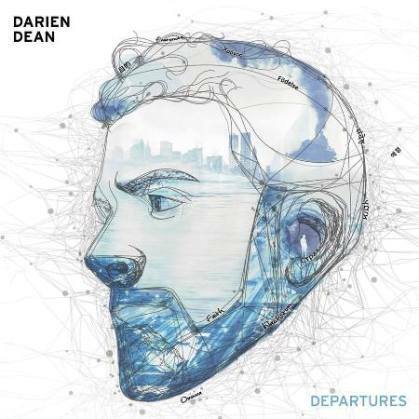 Darien Dean | Departures - TheUrbanMusicScene.com | Music Reviews! Soul music is alive and well – don’t let anyone tell you any different. Darien Dean proves this on his latest project, Departures. Dean isn’t a household name by any means. One reason is because Departures represents the artist’s first project released through notable music platforms. Even so, Dean released an album back in 2009 via Band Camp entitled, If These Walls Could Talk. Despite releasing a 16-track debut, Departures represents his introduction to the world. The results are incredibly satisfying, as Dean blesses the world with authentic R&B. Through the course of eight full-length songs, the soul is on. Two songs in particular represent the crème de la crème of Departures. “Harmless” is nothing short of a gem. Dean flaunts an incredibly soulful set of pipes, making singing sound effortless. Many characteristics of “Harmless” that make it so accomplished. One is the fact that it balances old school character, yet is contemporary enough to hang with modern R&B. Another characteristic that solidifies its exceptionalness is the positivity and exuberance in regards to love’s possibilities. “Harmless” is all “feel good” vibes without question. Follow up joint “Someone is You” keeps the momentum running strong. The record thrives once more due to its soulful roots. Furthermore, it’s a success thanks to its chivalry from Dean’s end of things. This is about the authenticity of relationships as opposed to lust; maturity is the M.O. “I’m thankful for someone, and that someone is you” sums up the sentiment. The vocal chemistry between Dean and featured guest Avery*Sunshine is awesome. The hits keep on coming for Dean – there are no misses whatsoever. On “Find A Way,” he excels in the adult contemporary R&B realm. The production work is lush, with more contemporary flair, while his vocals are commanding. He continues to tout the power of love, embracing it as life changing. “Pieces” hearkens back to late 90s and early 00s R&B. It doesn’t sound dated in the least, reminiscing back to a time when contemporary R&B thrived. “Wonders,” similarly, has classicism on its side, amplified by the use of electric piano, synths, and horns. Among the pros of “All I Ask” are the incredibly rhythmic drums, giving it the sickest, slickest beat of the album. Adding fuel to the fire is the electrifying chorus, where Dean soars. “All I Ask” is catchy, high-flying, and exceptional to say the least. As if any more reasons for praise were necessary, Departures concludes with two sound alternate versions of “Someone Is You” (“Someone is You (Shawn’s Revenge) [Remix]”) and “Pieces” (“Pieces (One Mo’ Piece) (Reprise)”). All in all, Dean delivers a stellar effort with Departures. Departures should play especially well with a more traditional crop of listeners. Still, don’t count out a crop of contemporary-minded out of the audience. Vocally, Dean is a beast, always commanding his performances like a champ.